When your range quits working out of the blue, you need to turn to a range repair Passaic technician as soon as you can.Our company offers same day appointments for residential customers across the Passaic area in New Jersey. By hiring us, you will never have to worry about any oven range repair you may need. All you need to do is to drop us a call and we will send out a well-trained expert to sort out your problem. With our services, you will be able to get your home-made meals going within a short time! At Passaic Appliance Repair, we thoroughly select technicians for the job. We always make sure that only certified and licensed pros will work on your home appliances. If you happen to face any troubles with your oven, range or stove top, please contact our company! An electric or gas range repair performed by amateurs can make things even worse. As a local service provider, we can dispatch a factory trained technician within a few hours of your call. No matter how complex the issue is, the range expert will fix it in a safe and effective manner. Whatever the problem is, the Passaic range service specialists know how to set things right! If you want your new range to run seamlessly at all times, you need to make sure it’s installed right. 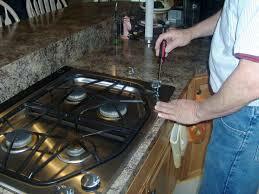 By calling us to install it,you will be able to avoid any problems related to incorrect gas range installation. With years of experience, the local installers will not only fit your appliance but also make sure all supply lines are connected in the proper way. Feel free to contact our company if you are in need of high-quality range repair in Passaic. We are standing by to provide you with the most optimal solution for your problem!